Floating on a simple band, this wonderfully modern, full bezel setting frames the princess cut diamond, with the ease of a seamless wedding ring friendly design. 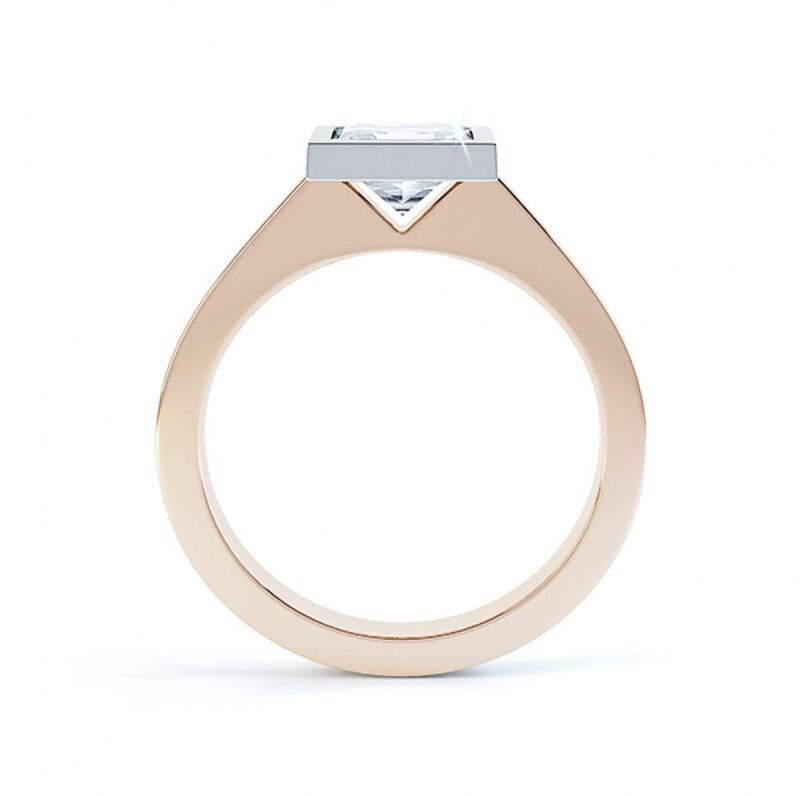 The 'Moderne' Engagement Ring captivates with modern elegance. Strong geometric lines and modern styling come together in this dazzling Princess cut solitaire ring design. 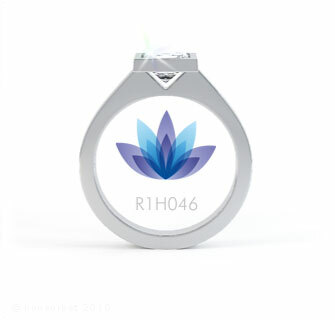 Faithfully surrounding a Princess cut Diamond, the full bezel setting secures all Diamond edges and corners. 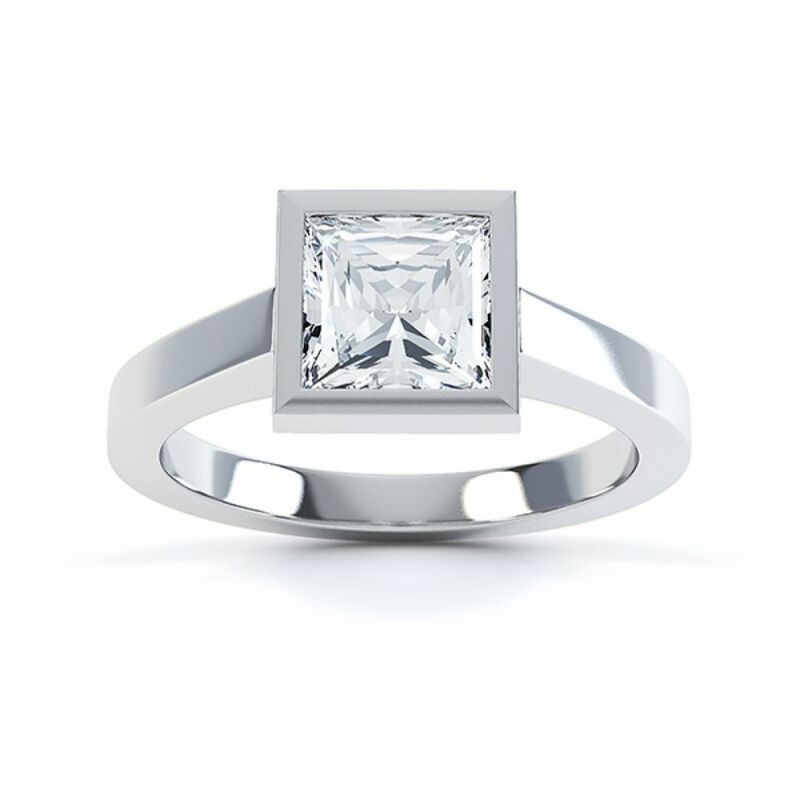 From the lower part of the setting, the pavilion of the square Princess cut Diamond is clearly seen, allowing light to freely pass through the Diamond. The band can be provided with a contemporary matte finish to contrast with the bezel for a designer look if required, but mirror polished as standard. 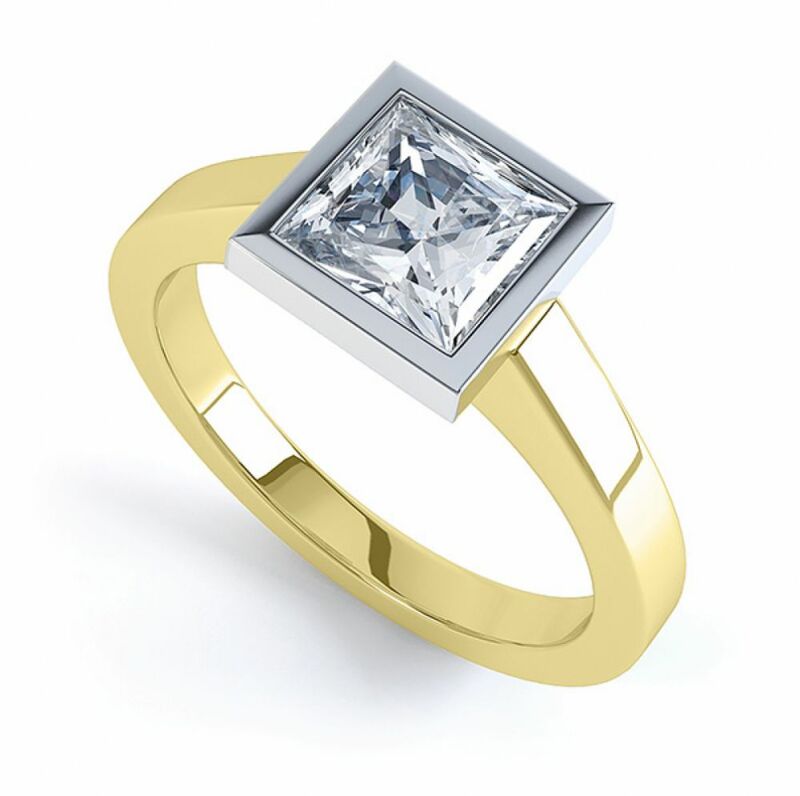 Larger Princess cut Diamonds look breathtaking in this modern Engagement Ring design. The ring cleverly includes a wedding ring friendly design, and arrives beautifully presented within 4 weeks of placing your order.